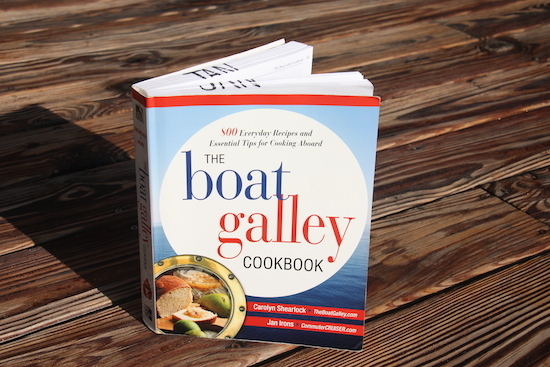 No matter what anyone tells you, boat cooking IS different from cooking ashore. The space is smaller, there’s no grocery store 5 minutes away, you have fewer prepared foods and electric appliances, and food storage is much different. Most used yachts for sale in Florida have some kind of galley and grill on board which makes it easier, but there are still challenges that every captain/cook must prepare for. – 800+ recipes made from readily-obtainable ingredients with hand utensils, including numerous choices to suit every taste: not just one cake but 20, 16 ways to prepare fish, 10 regional barbeque sauces, and so on. – Step-by-step directions to give even “non-cooks” the confidence they can turn out tasty meals without prepared foods. – Detailed instructions on unfamiliar things like making yogurt and bread, grilling virtually every food imaginable, preparing and cooking freshly-caught fish and seafood, cutting up and boning meat, cooking in a Thermos and baking on the stove top, as well as lots of tips on how to do things more easily in a tiny, moving kitchen. – All this in an easy to navigate format including side tabs to the Table of Contents and extensive cross reference lists at the end of each chapter. Quick Reference Lists provide idea starters: suggestions of included recipes for such categories as Mexican, Asian, and Potluck. This handy cookbook can be found in a few different places! Such as Amazon, Barns & Noble, and iTunes. Read more from the writers on their website!